Our registered physiotherapists have in-depth knowledge of how the body works and will work with you to assess, diagnose, and treat your symptoms of illness, injury, as well as health promotion and prevention. All Toronto Yoga Mamas physiotherapy and rehabilitation treatments are performed by Lamiya Zaidi and Nav Grewal, Registered Physiotherapists, which may be eligible for coverage under your health care benefits. General physiotherapy helps to promote your overall health and rehabilitate muscles and bones in the body that have been suffered from injury or trauma. This includes sprains, strains, the rehabilitation of fractures, inflammation of tendons, arthritis, osteoporosis, scoliosis, repetitive injuries and post surgery conditions. Manual therapy: carefully moving the joints to reduce pain and restore normal mobility of the joints. Soft tissue techniques: varying from relaxing light pressure massages to deep friction massages to breakdown scar tissue in muscle or ligaments. Taping for joint support/alignment: This supports the muscles and various affected areas to ease pain and allow for normal movement. Pregnancy can be a challenging time if you are trying to stay active and exercise. The demands placed on your body are constantly changing and it is important to tailor your exercise routine to better suit those demands. Our physiotherapists can help you manage pain and discomfort and help you find safe and suitable exercises trimester by trimester. Prenatal Physiotherapy can also help with preparing for birth and the management of common conditions which often occur during pregnancy, such as swelling that occurs in the lower arms and legs, lower and upper back pain, posture misalignment and more. ​Postnatal Physiotherapy can guide you through a faster and more effective recovery after birth. It can help you safely get back to your normal daily activities, as well as help you manage other physical aches and pains that can arise when taking care of your newborn. Lamiya graduated from Queens University in 2012, with her masters in Physical Therapy. Lamiya's passion for women's health led her to pursue further training in pelvic floor physiotherapy as well as in orthopedic manual therapy. She works closely with patients who suffer from pelvic floor and other physiotherapy dysfunctions, with a focus on pre and post natal effects on the pelvic floor muscles. Her goal is to empower and help educate females to combat the effects of pregnancy and delivery on their bodies. Using a variety of treatment modalities such as manual therapy, functional taping techniques and exercise prescription, Lamiya creates an individualized treatment plan geared to meeting a patients' goals! She aims to educate her patients allowing them to become empowered and active in the recovery process and she also ensures that her patient are equipped with preventive tools to avoid future injuries. In her spare time, Lamiya enjoys working up a sweat with yoga and spin classes! Nav graduated from McMaster University with a Masters of Science in Physical Therapy, preceded by a Bachelors of Science in Biopsychology. 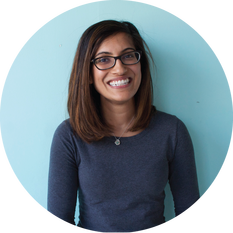 Nav is passionate about working together with her patients to help them achieve their goals! She has extensive experience working with orthopaedic surgeons treating patients with repetitive strain injuries, acute and chronic joint pain, arthritis, muscle weakness, and post-surgical rehabilitation. Nav combines manual therapy, soft tissue techniques, patient education, and exercise prescription to make an individualized program for each of her patients. She is a life-long learner and continues to take courses to further her knowledge to help her patients best. Outside of the clinic, Nav keeps active by doing yoga, running, and weight training.